Galway, Mayo, Donegal and Kerry were the leading recipients of payments for applications to the Areas of Natural Constraint Scheme in 2015. In response to a request from Fianna Fail spokesperson on Agriculture, Donegal T.D. Charlie McConalogue, the Minister for Agriculture Michael Creed has released the data. On a county basis, Creed supplied the number of applications submitted to the Areas of Natural Constraint Scheme with replaced the former Disadvantage Area Payment in 2015; the number of submitted applications that have been approved thus far; the number of participants that have received payments to date and, lastly, the total number of payments that have not been issued yet. 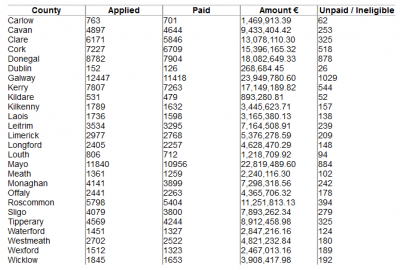 Galway (€23.9m), Mayo (€22.8m)and Donegal (€18m) topped the poll,while Dublin, unsurprisingly came last at €268,000 (see table below). According to Creed, a total of 103,763 valid applications were received under the 2015 Areas of Natural Constraints Scheme. These included Areas of Specific Constraints (island), of which 96,002 applications have been paid to date. Of those applications remaining outstanding, a large number will not meet the eligibility requirements and therefore will not become eligible for payment, Creed said. Earlier this month the Irish Natura and Hill Farmers Association called for the doubling of payments made under the Areas of Natural Constraint (ANC) Scheme. 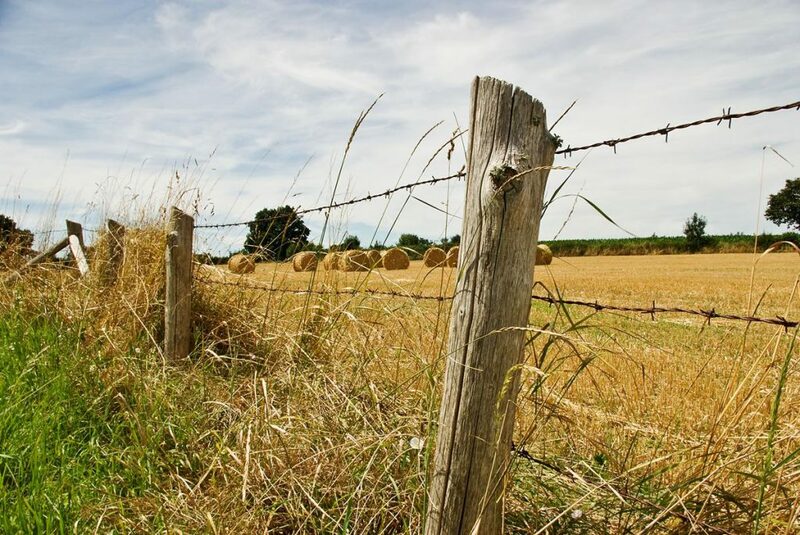 The Programme for Government agreed between Fine Gael and a host of independents endeavours to ensure the level of payments and eligibility involved in the ANC scheme reflect the degree of disadvantage experienced by individual farmers, within the remit of the Rural Development Programme. It sets out to enhance ANC payments, increasing funding in this area by €25m in Budget 2018. 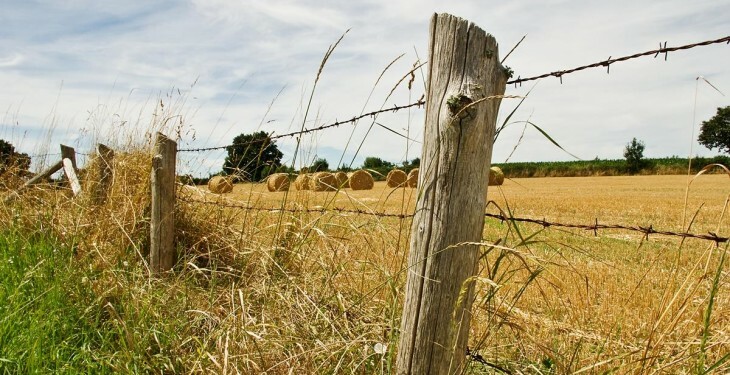 In April it was reported that thousands of farmers are still waiting for payment from the Department of Agriculture under the Basic Payment (BPS) and ANC schemes.